Book Direct For Our Best Rate - Guaranteed! 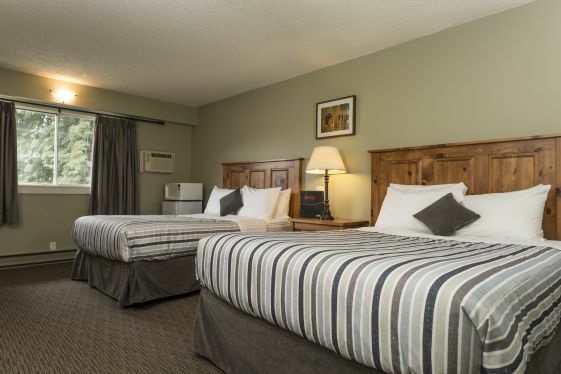 Centrally located hotel in Fernie, BC Canada on Highway #3, the Red Tree Lodge offers comfortable and affordable accommodations, with friendly, knowledgeable staff and unrivaled amenities. 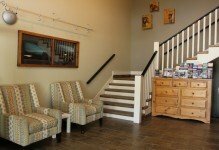 Our various hotel room types ensure that we have a configuration that will suit your needs for your trip to Fernie. Enjoy a meal in our Smokehouse Restaurant, or cook for yourself in our guest kitchen, fully equiped for you to make a great family meal. We also have lots of other common spaces to socialize like our Games Room, Movie Theatre, and Library where you can meet new friends. 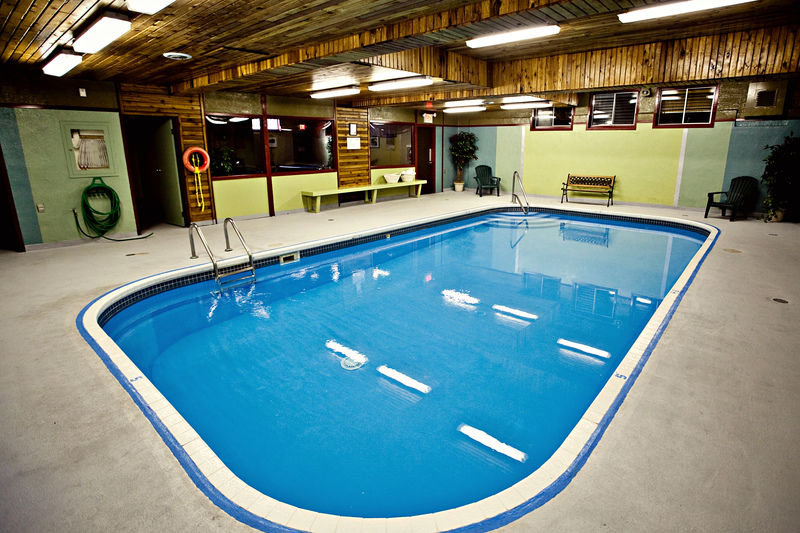 We offer accommodations from nightly stays to weekly and monthly stays for long term visits, and our facilities are perfectly suited for groups in Fernie. Located near the downtown area and a short drive to Fernie Alpine Resort in the Canadian Rockies and other amenities in town, the Red Tree Lodge provides lodging for Fernie! The Red Tree Lodge offers many room configurations to meet your needs. Many of our rooms can be made pet friendly, and long term rates are available for anyone who just can't stay away! Why are YOU coming to Fernie? What is there to do in Fernie, anyways? 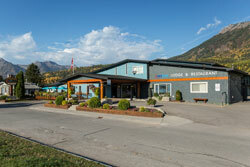 The Red Tree Lodge has something for all visitors in Fernie! There's so much to do here - what is YOUR Fernie adventure going to look like? This was our third stay at Red Tree Lodge. 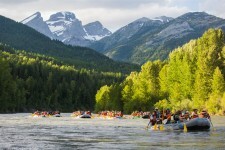 We used to live in Fernie and we find it a great place for winter and summer sports. Now we live in Calgary but still visit Fernie at least couple of times per year. Since we stayed at Red Tree Lodge for first time we loved it so much that we keep coming back again and again. I think we would never stay anywhere else but Red Tree Lodge. It has everything! Clean rooms equipped with a fridge and microwave. Great cool pool with pretty awesome temperature(anywhere else I stayed the water temperature is quite low but not here, it’s the warmest cool pool I’ve ever been to). And is clean! Super nice gaming room stays just beside the pool. The hot tub and the dry sauna are amazing! There is also a movie theater, kitchen, library etc. Just everything you need! We were supposed to ski for four days but was very cold out, so we decided to stay one day in and we had an awesome time. Both our sons were busy enough and we had a great relaxing day. So, thank you Red Tree Lodge! We will be back again and again. Thanks, we had a great experience at your lodge. My kids really enjoyed all the extras and unfortunately we didn’t have enough time on this trip to master Ratan, cook a meal, watch a couple movies in the theatre, have a hot-tub, finish a puzzle, play more board games……etc. Great place! Your staff were excellent. We will definitely stay with you again and recommend. The front desk reception as always was great . Very friendly and puts you at ease as soon as get there . The room was excellent, very clean and fresh smelling. The view from our room was great. The small deck off the room is such a nice way to unwind after traveling all day . The beds and pillows are very comfortable and the noise level in the hotel is very low . The hotel itself has free guest laundry, a communal kitchen area, and a BBQ area on the west side of the building with a picnic table and chairs. The bars and restaurants are all within walking distance after being in/on a vehicle for the day . The continental breakfast was just right with muffins, coffee, tea, fresh fruit, and yogurt . The restaurant in the hotel is very nice, the staff very friendly, and service is good as is the food. Can’t wait for our next trip to Fernie BC ! Fabulous friendly staff are all so helpful – I was amazed by the laughter of the cleaning women, a sign to me that the staff like their employment. Everything was cleaned to perfection and anything I needed was provided with a smile. I was injured while on vacation and they did everything they could to make me comfortable. They’re environmentally friendly – make sure the cleaning staff know you want to reuse your towels so hang them up! I recommend this lodge – the beds, bedding and pillows were plentiful and extremely comfortable. Pet friendliest hotel you’ll ever find. I’m a sales rep who travels with my dog and this is by far the BEST experience I have had of all the hotels I’ve stayed in with my dog. Loved the character of the rooms with wooden accents, cozy, comfortable, clean, small attention to details appreciated. Great value! Thoroughly enjoyed our meal in your restaurant. Loved the facilities you offer. Great concept – have set yourself apart from the standard lodge/motel rooms! Thanks for innovation – it’s refreshing! We will definitely return! Keep up the quality. 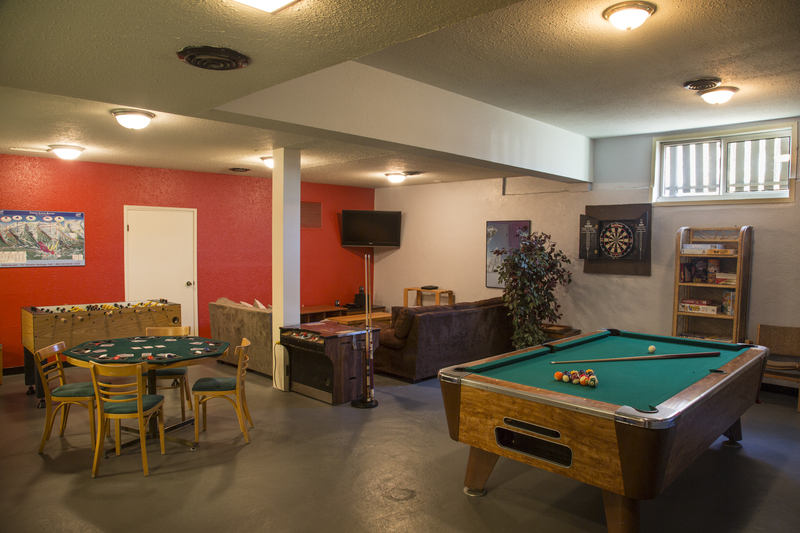 We’re a group of friends on a motorcycle trip and the lodge accommodated by having rooms on the bottom floor (easier to get our gear in and out of the room) They have a games room with darts, pool table, foose ball etc. which was perfect as we had it all to ourselves. On the upper floor there is a large common kitchen with large setting area which is great for a group. They also have a BBQ and picnic table by the BBQ. We were also very pleased to see a motorcycle wash station that we all took advantage of. Staff was very accommodating and friendly. The room and hotel facilities were perfect for our girls trip with two small children. Great experience! Me and my boyfriend stayed at the Red Tree Lodge this past weekend, and WHAT A GETAWAY! Everything from checking in to checking out was amazing. The free bike rentals alone were incredible! So easy to check out, and it was so close to town it was easy to zip out for lunch anywhere! We brought our puppy George, and never have I ever experienced a place so accommodating for dogs! George had his very own supplied water/food dish and a little goodie bag with his name attached! The supplied breakfast was amazing as well! Tim Hortons muffins, fruit and yogurt, YUM! All the staff was so pleasant! So helpful with every question we had. 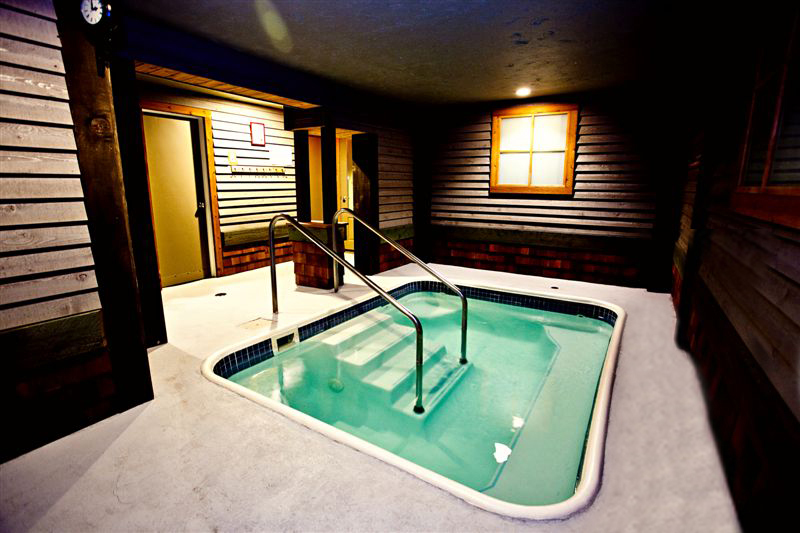 The hot tub and sauna room was so quaint and the pool was perfect temperature, and large supply of pool noodles! Perfect for sparring with! haha! We will be back again for sure! Already planning our next visit for next May. Cannot wait! Thanks again for making my 26th birthday extra special!